What a promise. If we follow Jesus he is unwilling to send us into the world without first providing us with the “stuff” we’ll need. Have you ever noticed the things we do in the present are for tomorrow? Take eating for instance. We eat in the present, taste in the present, enjoy the food in the present, and reap the benefits (and / or the curse) of eating in the unfolding hours until we eat again. Take going to work for instance. We labor in the present for our paycheck the following week. Jesus knew the demands of being a follower would be very taxing, in fact so taxing that without providing for us first we’d be doomed to failure. Jesus makes provision for each of us to be blessed by the timelessness of the Holy Spirit, which gives and sustains life. One of the unique personalities of the Holy Spirit is its ability to react to multiple situations at a time then bring the past, present, and future into focus on a moment by moment basis thus enabling us to move forward into the future. Do you need to take a prayer break? In his Country Western his song “The Gambler” Kenny Rogers sings of the gambler knowing when to walk away. However, two thousand years before his hit song Jesus was walking away when the time was right! While Jesus never gambled he knew that there were times when he needed to be alone with God for the tasks that would shortly face him. He walked away so he could pray for his disciples. He walked away when things became too dangerous for him. But when it came face-to-face with his trial and crucifixion he chose not to walk away but instead turned and walked straight into them. Jesus was a Leader by example what he did with his life is his greatest wish for us to do with ours. There are times when the storms of life are overwhelming, and we need to withdraw temporally which by the way is one of the reasons for attending church on a regular basis. 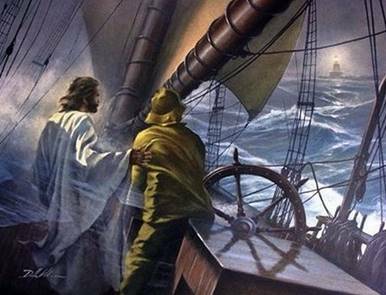 But there are also times when it is advisable to walk straight into some of the storms we face knowing that Jesus’ gift of the Holy Spirit ensures us that we will never really be alone. It is inconceivable that as deeply as Jesus loves us he would not bless us. He loves us so much that he even blesses us when we sin – he blesses us with forgiveness now that’s love! 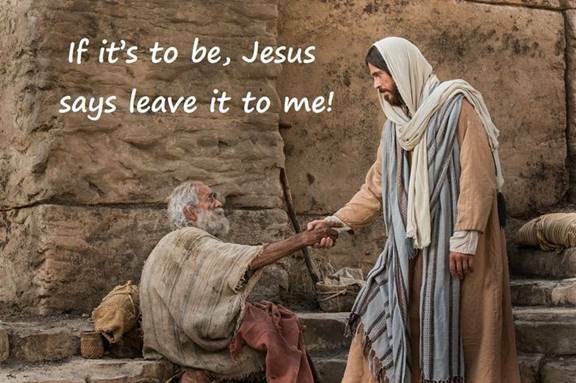 If it’s to be, Jesus says leave to me! Right now as you read these words Jesus is giving you gifts of blessings, spiritual blessings yet often those spiritual blessings manifest themselves in ways that we can see and feel. We receive a physical healing. Suddenly we feel at peace even when things are still fuzzy. Suddenly we see a small ray of hope. Suddenly we feel loved and not alone. Suddenly we know how to decide on an important question. And the list of gifts of blessings go on and on. Yet… If Jesus gave you a blessing and you never opened it would it still be a blessing? A gift that is never opened is always a gift. But when a gift is opened it becomes a blessing. 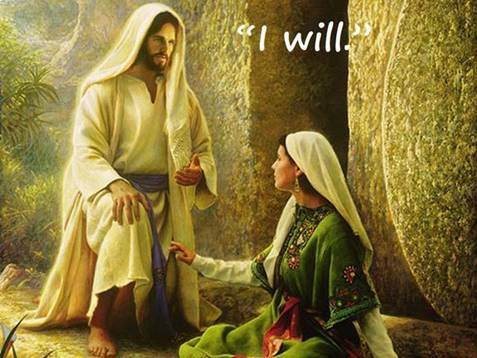 Jesus is willing are you? One of the things I always do when reading a scripture is to identify the most important words for me the time I am reading it. Sometimes I find myself marveling that days or weeks later I can read the same quote and discover the important words have changed. Note: As you continue reading the remainder of this Glory Seed when you see the word “my” or “me” please experience them as yourself, thank you. And my life goes on! Do you have a clean heart? For me this is one of the greatest promises of the bible because it says that I Gary Piper will one day be able to see God! For me that is the greatest blessing and journey of all time. 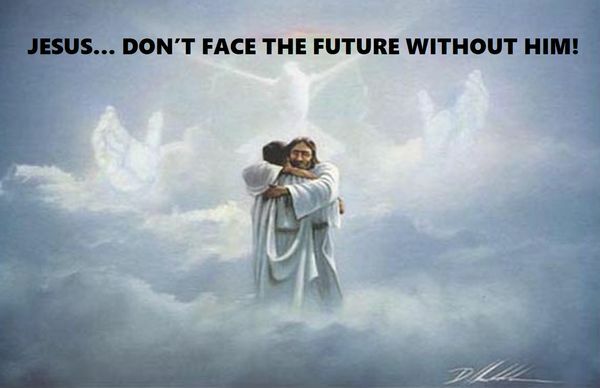 Just think you and I have the chance to SEE God! Because God knew David prayed out of pure intentions. God created a pure heart in David. 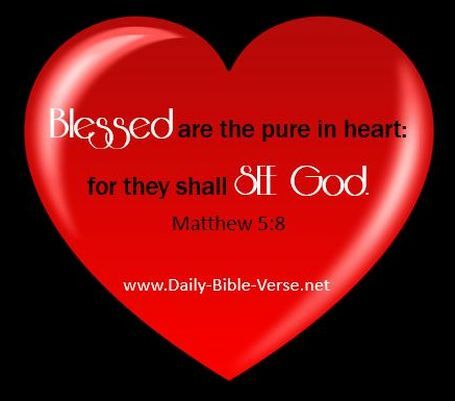 God created a pure heart in David to teach God’s ways to us so that you and I can know that through our relationship with Jesus we too with pure intentions can have a pure heart. Often when reading the quote above from Isaiah I am left wondering what it is that God is asking me to see. Our first notion is to begin looking for the “things” he’s doing. For instance, if we’re experiencing health issues we begin looking for a healing, if we’re experiencing financial issues we begin looking for an increase in income, a decrease in expenses, or help from family or friends. While the new thing God is doing may include those “things” God is asking us if we can see him at work in our lives. 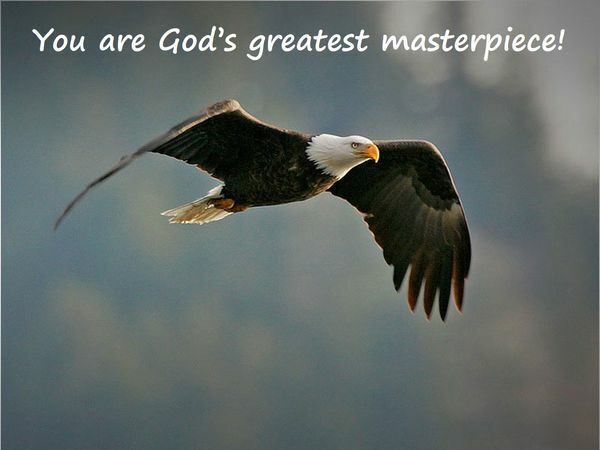 You are God’s greatest masterpiece! It doesn’t take a “rocket scientist” to figure out that Jesus is telling us God Loves us so much He wants us to spend eternity living with Him that He “pulled out all the stops” by sending Jesus to see that we receive our inheritance at the right time. A few verses later Paul tells us the Holy Spirit is our down payment on our inheritance. In other words the Holy Spirit is supposed to not only keep us in touch with God, but also the Source whereby God Blesses us with the necessary “stuff” to see we receive the fullness of our inheritance. God, I am Your greatest masterpiece! So many times when we seek/search for God we look and expect Him to show Himself in a magnificent and powerful display of divine power. Yet as the Psalmist writes of his encounter with God it was simply looking into the night sky and suddenly in the silence and beauty of the mysteriousness of the night sky God pulled down the curtain and stood in front of a human man. I remember one morning while vacationing in the Smoky Mountains I walked out in the early morning standing in the backyard of our cabin from out of the distance I heard a woodpecker hammering on a tree and suddenly I was standing in the presence of God. Yet because of my spiritual immaturity at that time I wasn’t permitted to see Him as the Psalmist did but He spoke loud and clear to my spirit telling me to continue deepening my relationship with Him. That experience changed the course my life and taught me the value of continually deepening my relationship with Him. Some may think God is to mysterious to get to know. One of the reasons may stem from God getting a bad rap, For example many will ask, “If God is a loving God why is there so much injustice in the world?” Or, “If God cares for my family why hasn’t He gotten us out of this slump we are in?” In some circles persons asking those questions would say, “There is no real answer, it’s just a matter of faith that God is in control.” While there’s an element of truth in that answer the real answer is Jesus Christ, in Jesus’ life, death, and resurrection is every thing we can understand about God. “Jesus said to him, “Have I been among you all this time and you do not know me, Philip? The one who has seen me has seen the Father. 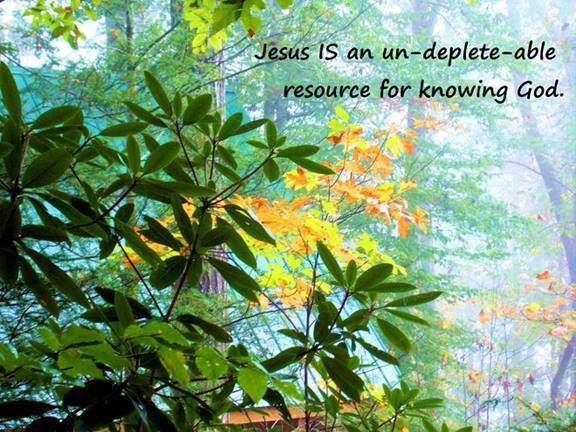 How can you say, ‘Show us the Father’?” (John 14:9) Jesus IS an un-deplete-able resource for knowing God.